In the world of clear sodas, only two brands reign supreme–7 Up and Sprite. Apart from their transparent colors, these two popular sodas have a number of other similarities–and differences–as you will see in this comparison article. 7 Up is a non-caffeinated soft drink with a lemon-lime flavor. The brand is marketed by Dr Pepper Snapple Group in the United States, and license rights are held in the rest of the world by Pepsi Co and its various licensees. The concentrate used in the product is manufactured at the Pepsi facility located in Cidra, Puerto Rico. Sprite is also transparent, has no caffeine in it, and has the same lemon lime flavor. It is a product of the Coca-Cola Company, and was first introduced to U.S. consumers in 1961. Developed as a competitor to the hugely popular 7 Up, Sprite managed to grab the lead over its rival in 1978, making it the most popular soft drink in the lemon soda category. 7 Up was the invention of Charles Leiper Grigg, who set up the The Howdy Corporation in 1920 in St. Louis. In 1929, Grigg thought up a formula for a lemon-lime soft drink that was initially named "Bib-Label Lithiated Lemon-Lime Soda". In an interesting historical side note, 7 Up was first introduced to the market two weeks before the 1929 crash of the Wall Street stock market. The original 7 Up also contained lithium citrate, which is a drug with mood-stabilizing properties. In fact, 7 Up was only one of many patent medicines sold during the late-1800s and early-1900s, and it was marketed as a cure for hangover. 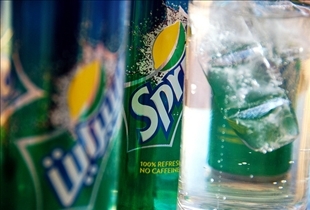 As mentioned previously, Sprite was introduced as a competitor to 7 Up in 1961. Early marketing material billed Sprite as a drink mixer that was a bit tart and not too sweet. These marketing campaigns also tried to play up Sprite as a more sophisticated alternative to other clear mixers on the market, a thrust which was obviously aimed at its closest competitor, 7 Up. 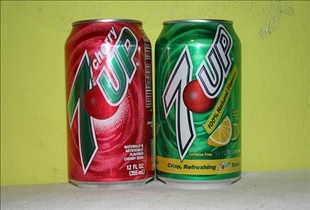 The 7 Up formula has undergone numerous changes and revisions over the years, with a 2006 revision allowing it to be sold as a "100% Natural" product. This was done by ceasing the use of calcium disodium EDTA, which is a chelating-agent. In its place, a combination of sodium citrate and potassium citrate begun to be used as a means to reduce 7 Up's sodium content. However, the continued use of high-fructose corn syrup or HFCS and the absence of fruit juice met with challenges from various public health and advocacy organizations. With the threat of impending legal actions looming, the makers of 7 Up announced that the "100% natural" tag-line would be removed from all marketing materials, and the beverage would now be sold as containing "100% Natural Flavors". As for Sprite, its ingredients are actually quite similar to other carbonated drinks: carbonated water, phosphoric acid, potassium citrate, potassium benzoate, citric acid, natural flavors, aspartame and acesulfame potassium. Sprite also contains high fructose corn syrup and caramel coloring.